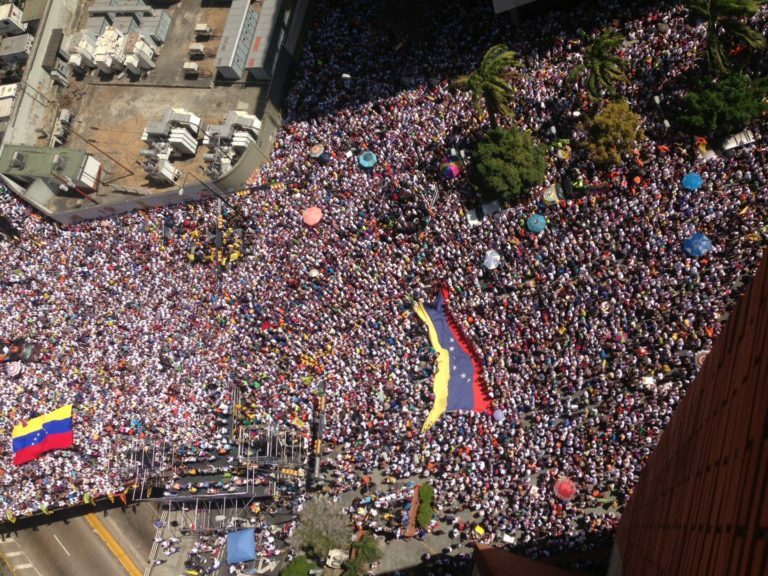 Yesterday the Venezuelan people gave us another great lesson: We can go out into the streets united to demand our rights, we can peacefully challenge a populist-Marxist government and conquer the streets. It was a great victory. We salute our Venezuelan brothers and we thank tham. Thank you for gathering in such huge numbers to remember one of your leaders, Leopoldo Lopez, who chose to be arrested in a very special place in Caracas: at the foot of the statue of Jose Marti, reminding us all that Cuba is one thing and Fidel Castro and his agents is another, and they are the ones collaborating with the Maduro dictatorship. 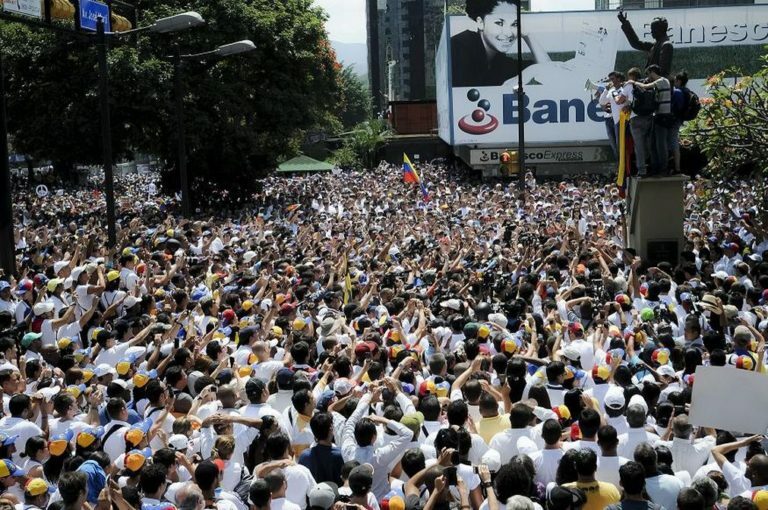 The protest achieved its planned objectives: to “occupy” Caracas and demand a recall election, without delay, without waiting for next year, which is what Maduro wants. It is important to know what the objective was and that it has been achieved, becuase some voices have commented saying the effort was useless, becuase they should have taken advantage of the moment to occupy the centers of power in Caracas. That would have been to anticipate events and give the Chavistas arguments to use all the forces of their paramilitary collaborators and the army itself. The time for that has not yet arrived in Venezuela, first all the legal means and resources must be exhausted, and we hope that when the time comes the military will refuse to shoot, because they recognize that in these demonstrations are their children, their brothers, their wives, their mothers or themselves. Venezuleans have given us a great demonstration of where you can get with unity around a table in which everyone can organize themselves, around those objectives that have in common and forgetting their differences. These common objectives are, briefly: NO to hunger and misery, YES to work and progress. NO to tyranny, YES to democracy. It’s that simple. From this lesson we must draw a firm determination, in our own national struggle, of advancing our movement: Somos+ (We Are More), and advancing our roundtable: MUAD. Long live free Venezuela and Cuba!